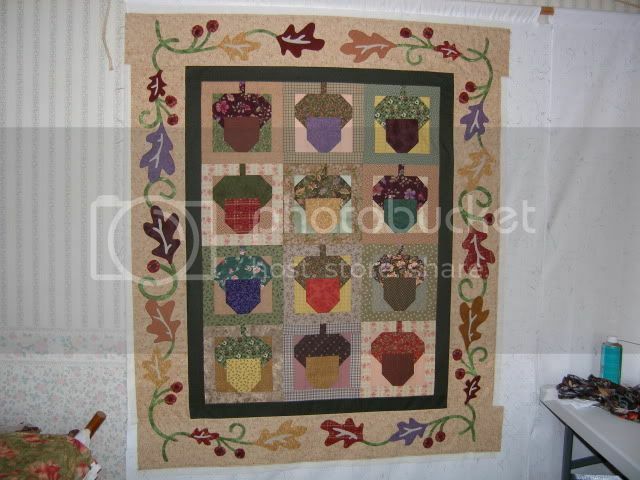 I have been wanting to try and make this quilt for a while, I was'nt sure about the wide border if I could do it. I had to do it my way, but I got it done.. Still have some trimming up to do plus have think about if I can quilt it myself. I know I can do the middle, but I don't want to mess up the border, it took allot of work to get this made..
Wow, Janet, you always do such unique, beautiful work! Thanks for showing it to us. Thanks Marilyn.. Talk to you soon. That looks incredibly tricky - especially lining the corners of the borders up like that. It's absolutely wonderful - thank you for posting the pictures. Was allot of extra work the way I had to do it get it right. 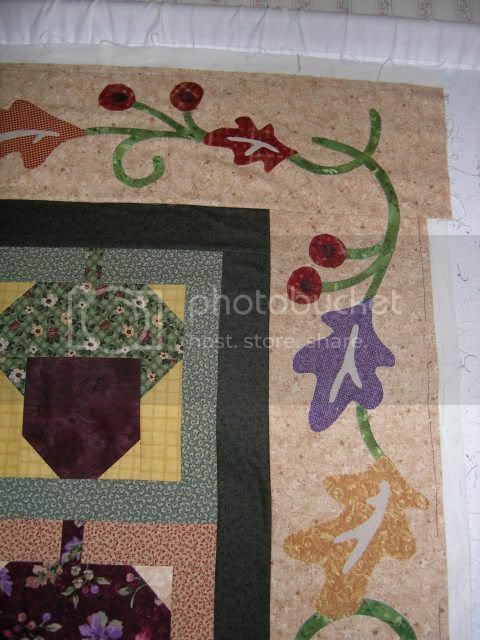 Put the border on, add the applique, take each piece off again sew on the applique then put all back together again. Once all back together, only then could I do the corners.So more work but worth it to get it right. Thank you Polly. It was allot of work but I enjoyed making it. That is so beautiful! The detail work looks so intricate - you did an amazing job! Thank you! Was allot more work the way I had to do it... Put the border on, add the applique, take each piece off again sew on the applique then put all back together again. Once all back together, only then could I do the corners.So more work but worth it to get it right. Wow, that's lovely! Beautiful applique work! 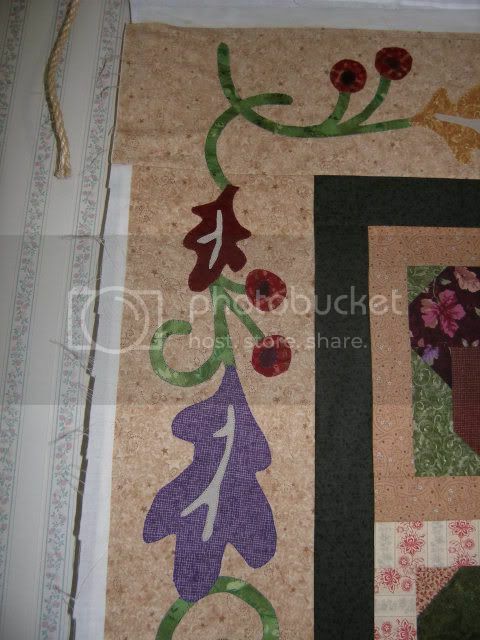 Thank you Jen.. My first quilt with applique allot of work but worth it..